1839. 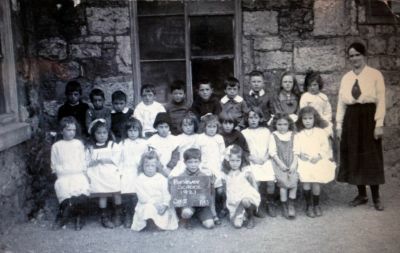 Opening of Porthywaen School for 100 children with the help of donations from two local church congregations. 1894 Plans are discussed for a School House at Porthywaen. 1901 Runaway horse attached to a wagon damaged the school wall at Porthywaen. The contractors agreed to the repairs to the wall. 1984 Porthywaen School closed,land leased from the Earl of Powys for 99 years at a rate of 2s and 6 pence. 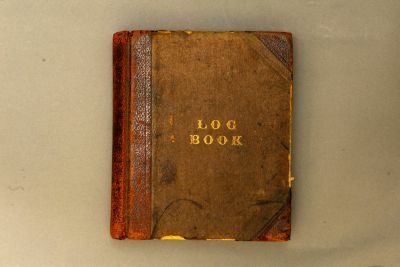 500 page school log book for Porthywaen school from 1873 to 1901 giving a day to day record of school life. .Recent photo of Porthywaen School(now a private residence) taken from the railway trackbed at the rear of the property. Source Ken Owen. Side view of the former school.